Although Brexit negotiations are officially underway, there is no clear vision of how the UK will look once it’s left the European Union. Politicians – including those within government – appear to be divided on the issue, with Chancellor Philip Hammond’s wish for a softer Brexit seemingly at odds with Brexit Secretary David Davis and Foreign Secretary Boris Johnson. 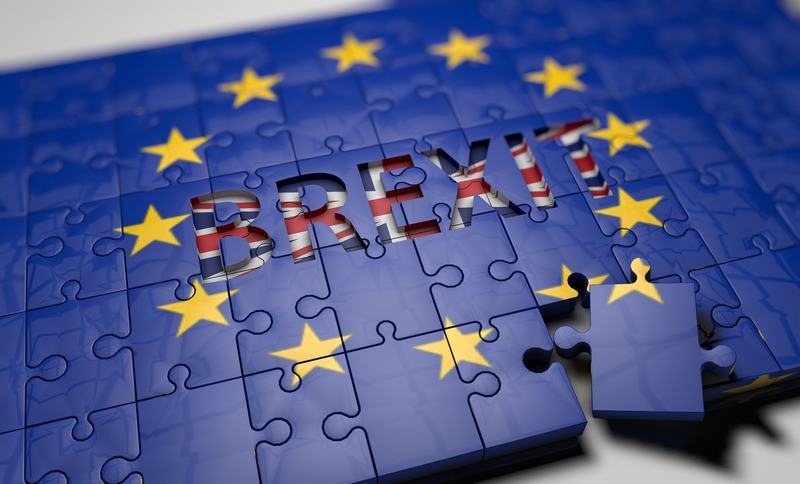 This uncertainty has left businesses, local authorities, and the general public struggling to plan for the future, and in search of answers to help navigate these difficult Brexit waters. One valuable resource they may turn to is Professor Janice Morphet’s new book, Beyond Brexit? How to assess the UK’s future. In this short guide, Professor Morphet – an expert in infrastructure, the EU and public policy – takes a long term view and attempts to understand the whole range of options that may be deployed by the UK, EU, and other international institutions. Below we’ve outlined some of the main themes of the book. The impact of the EU referendum result has been strongly felt by the devolved nations and territories. For example, Scotland’s First Minister, Nicola Sturgeon, has argued that Scotland (where 62% voted to stay in the EU) should be recognised in the Brexit negotiations, and that Scotland should be allowed to come to an arrangement on continued EU membership. Similarly, Gibraltar (where 96% voted in favour of remaining in the EU) is looking to retain access to the EU’s single market and free access across the EU border. There have also been diplomatic tensions, with the suggestion that there should be no UK/EU agreement – that includes Gibraltar – without the consent of Spain. But beyond these specific issues, Professor Morphet raises the wider point that EU legislation is a fundamental component of specific devolved powers. This is because much of the powers devolved to Scotland, Northern Ireland, and Wales are derived from legislation initially agreed within the EU. In Professor Morphet’s view, devolved nations will need clarification on how they’d retain decision-making powers, including whether a new set of powers would need to be introduced. One suggestion discussed is the need to create a federal constitution guaranteeing the devolution arrangements. During the referendum campaign there was limited discussion on the value of EU membership. Even the Remain campaign focused on the negative impact of leaving, rather than the positive impact of being a member of the EU. commitment to achieving higher environmental stands across the EU. Much of the UK’s future relationship with the EU will be dependent on the current Brexit negotiations. As such, it’s unclear whether the UK will achieve a bespoke arrangement with the EU, gain an agreement similar to another country (such as the Norway or the Swiss models) or if there will be any deal at all. Professor Morphet discusses this wide variety of options, and considers some of the challenges for the UK Government – who at the moment appear undecided on how far outside the EU they would like to be. Before the EU Referendum result many high profile individuals and institutions claimed the UK economy would collapse. This included former Chancellor George Osborne, who suggested there would need to be an emergency Brexit Budget, and the Bank of England’s governor Mark Carney, who warned that the UK risked heading into a recession. However, even though the economic slowdown has not occurred, there have been signs that the referendum result has impacted the UK on a variety of levels. For instance, Professor Morphet highlights that there has been an effective 11-16% devaluation of the pound, and that inflation is likely to rise in 2017. For her, stabilising the economy should be the priority for the UK government, arguing that it needs to offer a clear view of Brexit to reduce the political uncertainty. Professor Morphet’s latest book is a must read for anyone with an interest in how the country will look post Brexit. By her own admittance, the book does not provide all the answers, but it does provide a framework for making sure the right questions are asked during the negotiation period and beyond. The Idox Information Service is a unique source of information and knowledge on public and social policy and practice. Organisations that join the Information Service will have access to our fortnightly Brexit update, highlighting all the latest Brexit publications, commentary, and developments. Membership packages can cover an entire organisation or a specific department or team. We also offer subscriptions to our current awareness services to individuals who are not affiliated with a subscribing organisation. To find out more information please contact our team on 0141 574 1920 or contact us online. This entry was posted in Government and politics and tagged agreements, benefits of the EU, Beyond Brexit? How to assess the UK’s future, Brexit, Brexit negotiations, devolution, devolved nations, diplomacy, economy, environment, EU, EU membership, European Union, How will Brexit affect planning?, Ireland, janice morphet, local government, options for the UK post Brexit, Professor Morphet, relationship with the EU, Scotland, Scotland post Brexit, UK after Brexit, WALES. Bookmark the permalink.